Jim Skeen , a Proctor in Admiralty in the U.S. Maritime Law Association for over 33 years, has expanded his representation of marine insurance companies to property insurers for inland marine and other property losses including roof collapses, water damage, and other common property subrogation claims. His extensive experience in the State and Federal Courts of Maryland, Virginia, and the District of Columbia, provides for consistent and low cost recovery in loses ranging from $10,000 to $1,000,000. 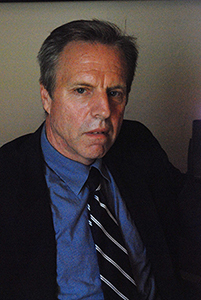 As a consequence of his experience in maritime and transportation related matters, he has successfully represented trucking companies, warehousemen, stevedores, shippers, cargo underwriters, marinas, freight forwarders, customhouse brokers, and other transportation related businesses in various matters both as plaintiffs and defendants. Jim has lived in the Baltimore area his entire life. He graduated from Baltimore County public schools and went on to graduate from Cornell University, where he played on the first National Champion Lacrosse team in 1971. In his free time, he enjoys visiting his two grown children, playing tennis, biking and hiking. Jacobson, Brandvik & Anderson, Ltd.